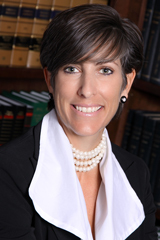 Susan Stuart joined Moore Ingram Johnson & Steele in 1996 and is a partner in the firm’s Real Estate Department. She specializes in real estate, condominium, contract and municipal law. In addition, she is a member of the Real Estate Section of the State Bar of Georgia and a member of the Cobb County Bar Association. Born in Suffolk, Virginia, February 3, 1970, Susan was admitted to the Georgia Bar in 1996. She received her J.D. from Mercer University and her undergraduate degree from the University of Virginia in Charlottesville, Virginia. Susan enjoys spending time with their children, Sally and Henry. She also enjoys good food, wine, and traveling in her spare time.